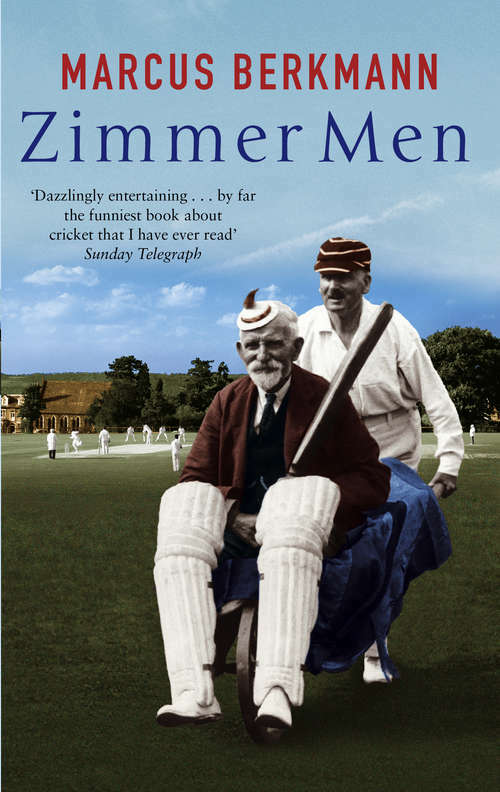 Ten years after his classic Rain Men - 'cricket's answer to Fever Pitch,' said the Daily Telegraph - Marcus Berkmann returns to the strange and wondrous world of village cricket, where players sledge their team-mates, umpires struggle to count up to six, the bails aren't on straight and the team that fields after a hefty tea invariably loses. This time he's on the trail of the Ageing Cricketer, having suddenly realised that he is one himself and playing in a team with ten others every weekend. In their minds they run around the field as fast as ever; it's only their legs that let them down. ZIMMER MEN asks all the important questions of middle-aged cricketers. Why is that boundary rope suddenly so far away? Are you doomed to getting worse as a cricketer, or could you get better? How many pairs of trousers will your girth destroy in one summer? Chronicling the 2004 season, with its many humiliating defeats and random injuries, this coruscatingly funny new book laughs in the face of middle age, and starts thinking seriously about buying a convertible.